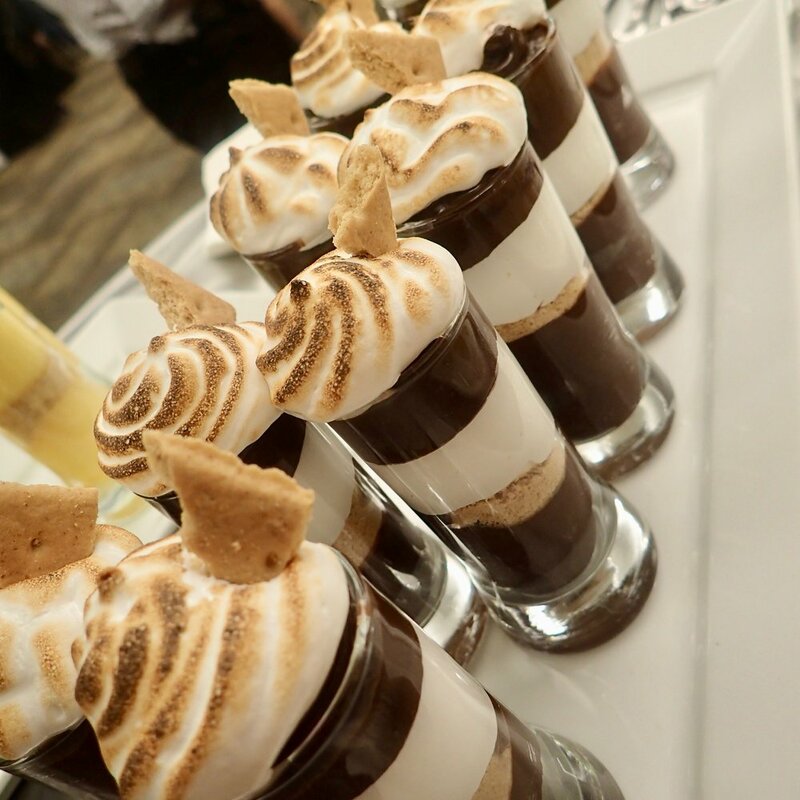 Bank On It – Your Catered Event Can Help the Hungry — Rona. Orlando has an insanely large amount of hungry residents, no matter how many the Second Harvest Food Bank of Central Florida manages to feed. To generate yet more ways to solve this disturbing situation, the food bank has a bunch of services that don't involve handing food to people with empty stomachs. 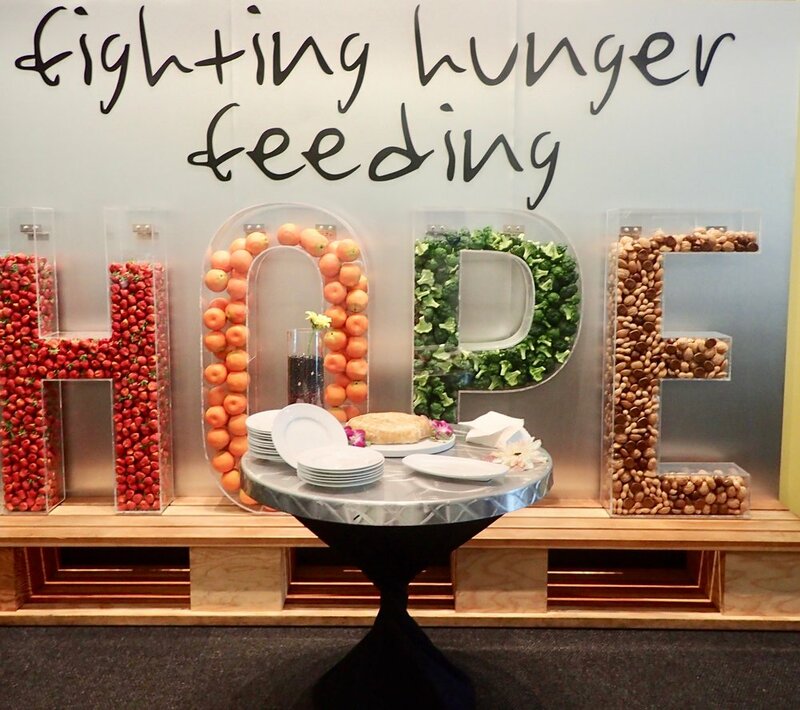 This lovely sign – the letters spelling HOPE filled with wholesome foods – is a fitting backdrops for receptions held in the Second Food Bank of Central Florida lobby. That's baked brie in front of the sign. Catering for Good Second Harvest's culinary team will bring foods to your event, and it will host your meeting, party or cocktail reception on the premises. 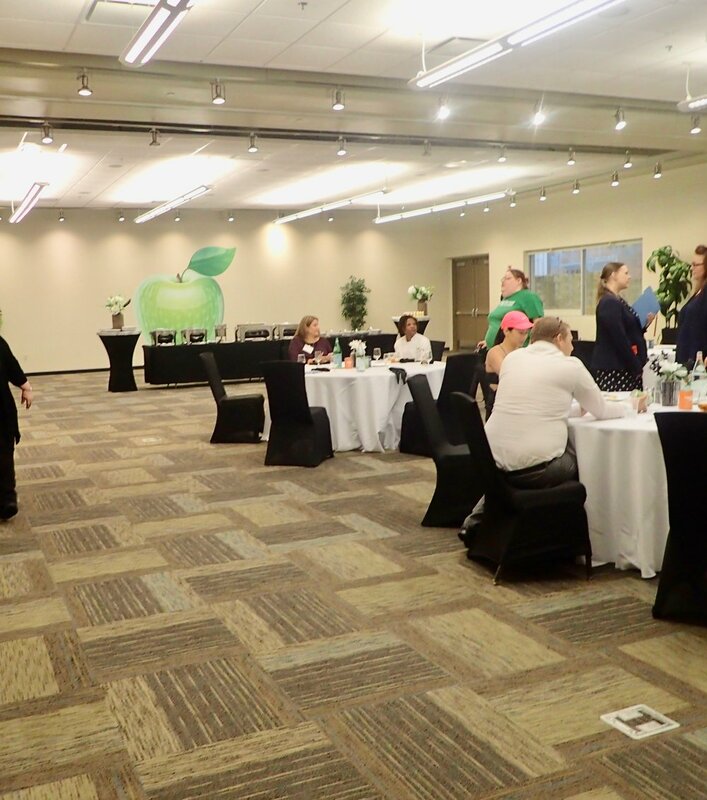 Don't freak; Second Harvest is in a beautiful modern building, and the facilities are as nice as those in most hotels. The photos I'm posting here are typical Rona pics, i.e. not so great. Look past the bad photography and you'll see attractive spaces. Rent them out for board meetings, bridal showers, bar mitzvahs ... any event that needs a home away from your home or office. Reception-style small bites like olives, salami, and mozzarella-tomato bites are set out on a multi-tier display in the lobby. 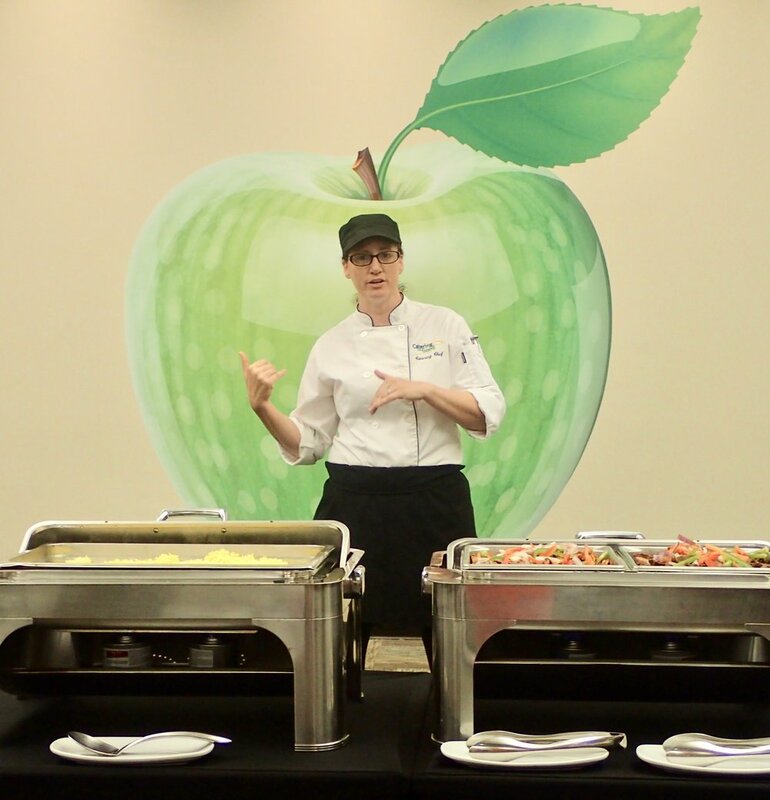 Second Harvest Culinary Training Program Groups of students – small enough in number for private attention – are given career education via this 16-week program "for adults who need a second shot at life," as the literature says. These students receive hands-on experience during Catering for Good gigs. So far, 250 have graduated and they've all landed promising jobs upon graduation. Some even work during the school term. That's fine with Chef Jill Holland her team; they work around scheduling snafus. Chef events Periodically, a renowned local chef will cook a multi-course dinner in one of those attractive Second Harvest event rooms and serve it to a paying crowd. 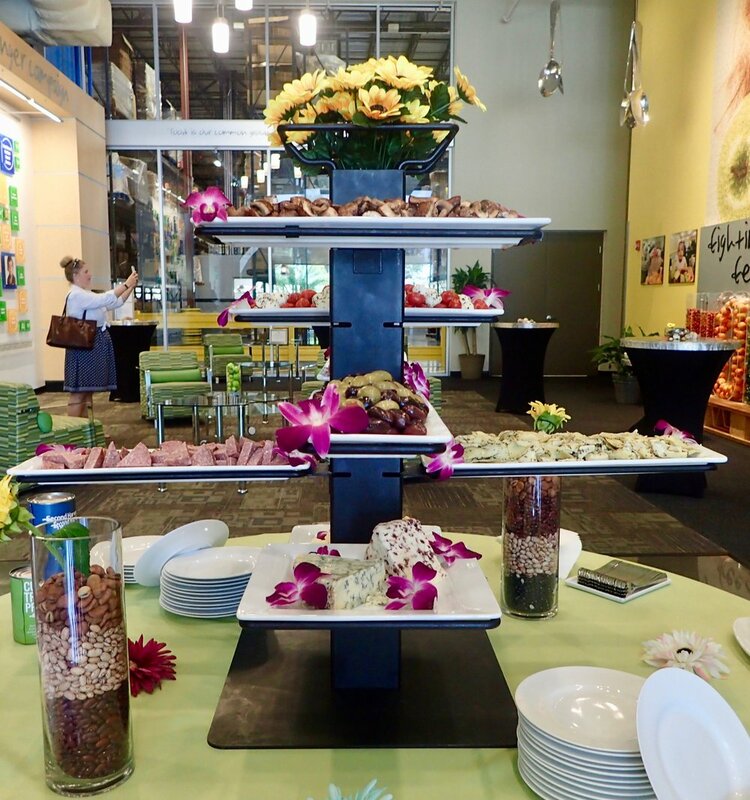 The next meal will be delightfully offbeat: sweets by Peterbrooke Chocolatier of Winter Park, cheese by La Femme du Fromage, and wine by Quantum Leap and Orlando Uncorked. This is a whole lot good, all put forth with the intent of keeping Orlando-area bellies full. To learn more about Second Harvest, click here.